Jasmit Sagoo explains how organisations can balance great customer experiences and data protection. In today’s digital economy, organisations have a dual responsibility to their customers. First, they must utilise data to deliver the best, most competitive customer experiences possible. At the same time, they must protect that data, and ensure it does not fall into the wrong hands. Where enterprises can gain unprecedented insight into customers and game-changing opportunities, the power of data can’t be ignored or taken for granted. To harness its true value in a way that’s effective and safe, data must be handled responsibly by everyone within an organisation. Yet it seems that many businesses are stumbling at the first hurdle. Laden with bloated and fragmented IT environments, they are unable to effectively manage their data – by this we mean how they ensure it is protected, available and insightful. Poor data management can cost businesses dearly. It impacts efficiency, security, productivity and profitability. Our research found that UK organisations estimate they lose £1.2m a year due to data management failings, citing slow decision making (37 per cent), failing to hit efficiency targets (33 per cent) and missed revenue opportunities (37 per cent) as the main causes. The reason behind these slow decisions and missed revenue opportunities? On average, UK employees are losing two hours a day searching for data, resulting in a 16 per cent drop in workplace efficiency. And yet, missed revenue opportunities are only part of the story. There is also the risk of potential fines and penalties resulting from data breaches and non-compliance to data privacy regulations such as GDPR. When an organisation is unable to rally its data to a cause or business objective, it is flying in the dark. It lacks crucial insight and cannot accurately predict outcomes or opportunities for disruption. It can’t be agile and, therefore, will not be successful in today’s fast-moving digital economy. The question we must answer is; with poor data management representing such a financial hit to business, why can’t organisations get it right? Our research found that the causes are both strategic and operational. Less than one-third (33 per cent) of UK organisations know where all of their data is located. Their data sits in disconnected silos, where it can’t be properly accessed by the right people or utilised by the business. These silos have been given room to grow and are usually the result of specialised, non-integrated point solutions or storage repositories introduced across the organisation over many years. As a result, businesses are contending with daily data challenges. Without an integrated approach to data management, these organisations are simply implementing unrelated solutions and hoping for the best. They struggle to monitor and keep track of various databases and management systems. In such a labyrinthine environment it is easy for data to go dark – forgotten, uncategorised and open to abuse by bad actors. Of course, the more they try to fix things with the same approaches, the more costs spiral and the less return on investment they receive for their data. Money is wasted by papering over the cracks, when it could be devoted to growing new skills and technologies. The challenges may seem like a mountain to climb, but the benefits that better data management delivers are enormous. To achieve this, businesses must implement solutions that empower the right employees with visibility and agency over the whole data estate. Gaining a holistic view of how data is managed within an organisation is the most important step to putting it to good use in the digital economy. Organisations must, therefore, adopt a centralised data management platform that services every data environment, whether in the cloud or on-premises. A platform that ensures you know what data you have, and on which cloud it is located, helps you to both utilise and protect it under a single, consistent set of policies. When a more structured and responsible approach to data management is taken, there are countless potential rewards. Organisations that take a holistic view of their data can expect to see improved employee productivity, lower costs, more satisfied customers and increased compliance. When the correct approach is taken, data management stops being a cost to the business, and transforms into an asset that creates both value and unveils better business opportunities. It’s time for organisations to understand that big data is a big responsibility. 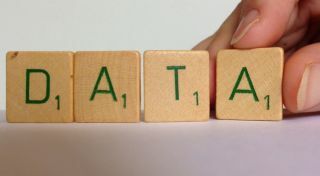 Businesses can greatly benefit from understanding their data and where it is located in and outside their company. This then has positive repercussions for customers, who can benefit from enhanced experiences. Yet, as organisations grow, so will the amount of data they collect and the dangers it can pose if left disordered. With data serving as the catalyst for digital transformation, solving data management challenges must be an organisation-wide effort. With such significant business rewards up for grabs, it’s no longer just a challenge for the IT department, but the responsibility of all.